One-day National Seminar on Materials Characterization Techniques and Data Analysis. 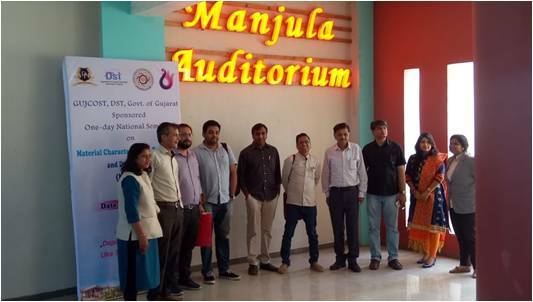 Department of Physics organized the one day National Seminar on "Materials Characterization Techniques and Data Analysis (MCTDA-19)" on 15 March 2019 sponsored by Gujarat Council of Science and Technology (GUJCOST), DST, Govt of Gujarat. The one-day seminar enlighten youth about the various characterization techniques and most importantly the data analysis of the obtained results. 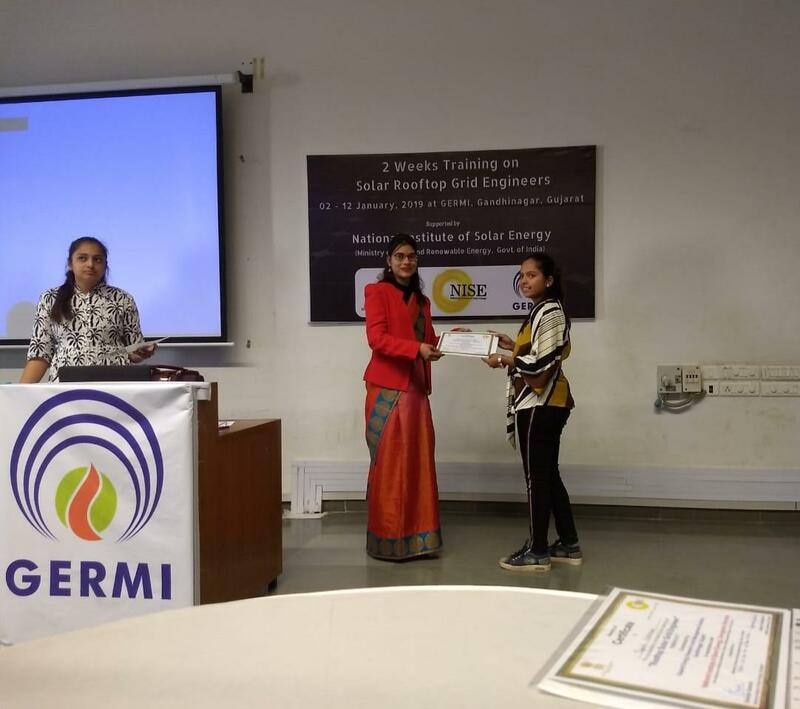 The seminar covered the basic as well as advanced characterization techniques such as X-ray Diffraction, Raman Spectroscopy, Scanning Electron Microscopy, UVVisible Spectroscopy, Thermogravimetric analysis etc. More than 400 participants i.e. 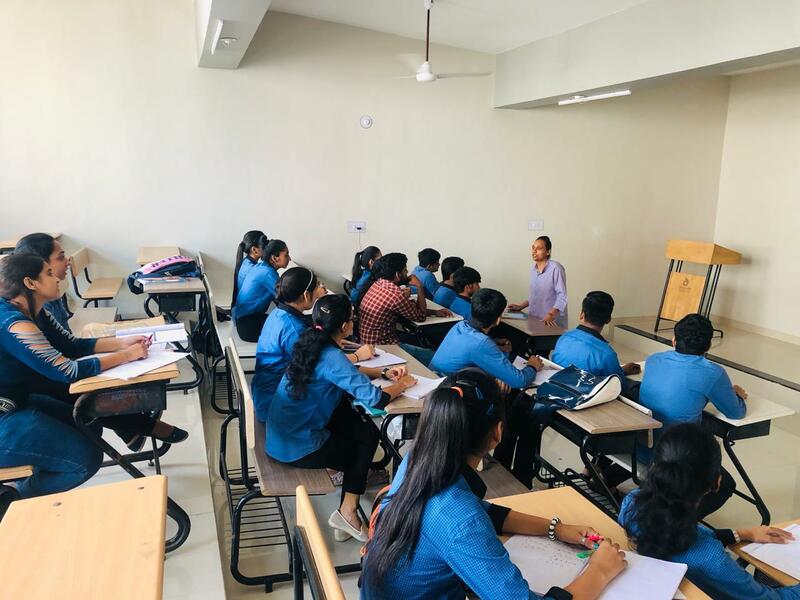 Faculty members, research scholars and students from university/institutes such as S. V. National Institute of Technology, Surat, P. T. Science collage, Grow more institute of science, B. P. Baria Collage, Navsari, B. K. M. Science Collage, Valsad, Shrimad Rajchandra Vidyapeeth, Dharampur, Veer Narmad South Gujarat University, Surat, NTVS's G. T. Patil Arts, Commerce & science College, Nandurbar, V. S. Patel Collage of Arts and Science, Bilimora, Navyug science college, The M. S. University of Baroda, Sheth M. N. Science College, Patan etc. attended the seminar. Dr. Vipul Kheraj (Associate Professor, SVNIT, Surat), Dr. Prafulla K. Jha (Professor, M.S. U. Baroda), Dr. Arun Pratap (Professor, M.S. 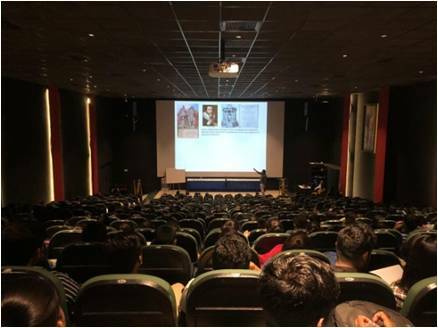 U. Baroda), Dr. Dipankar Saha (Associate Professor, IIT Bombay) and Mr. Narendrasinh Chauhan (Scientist, IPR) delivered expert lecture in the seminar. 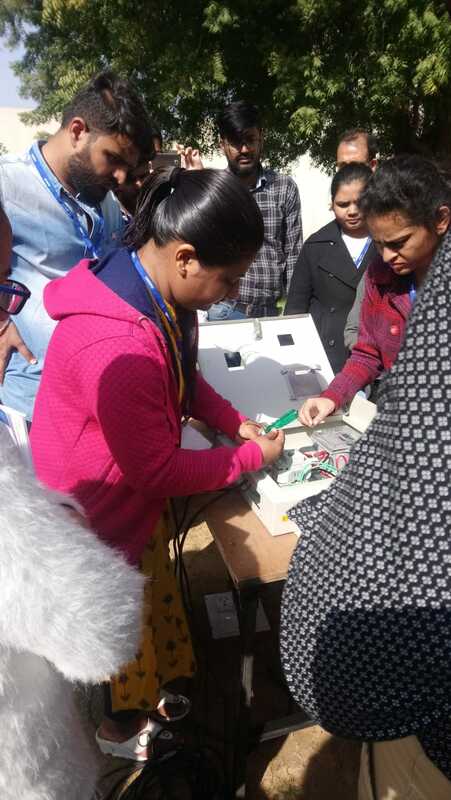 Department of Physics celebrated National Science day on 28 February 2019. 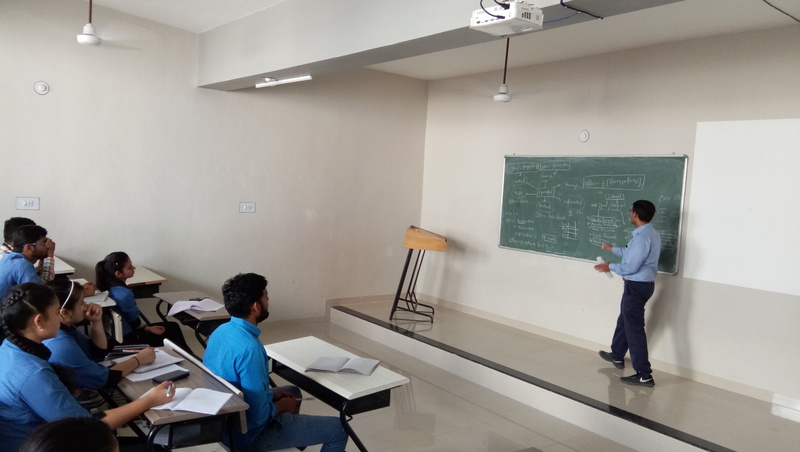 Mr. Jay Patel, Faculty member, CGPIT, UTU deliver lecture on fundamentals of physics. All students of Integrated M.Sc. Physics and M. Sc. 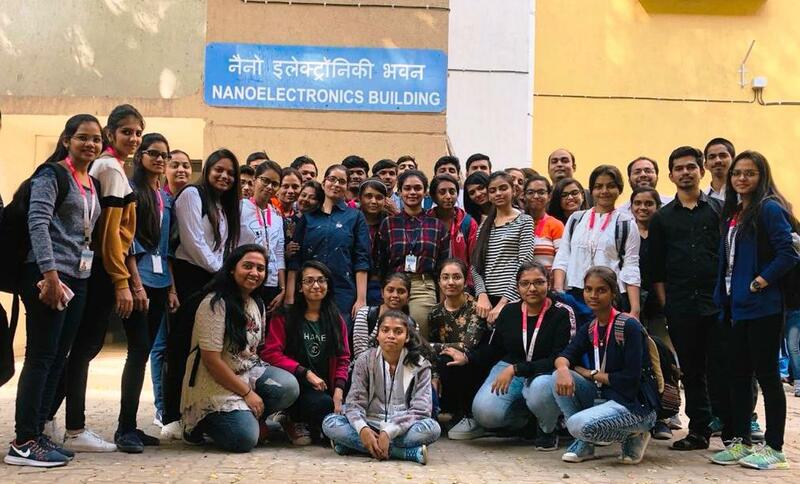 Physics visited Machin laboratory, Electronics Laboratory and Bosch Laboratory at CGPIT. 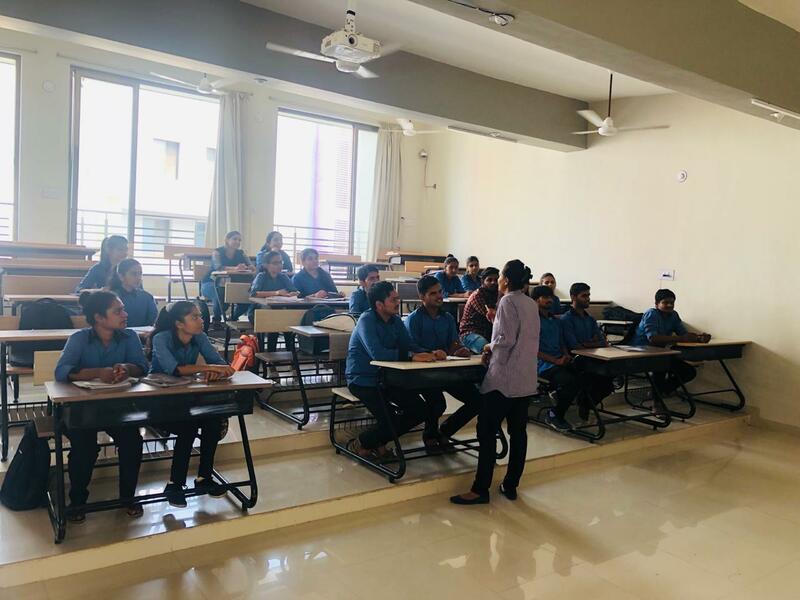 Mr. Dharshan vora, Mr. Bhargav Patel and Mr. Ranjit Rajat carried out lab sessions at Machin laboratory, Electronics Laboratory and Bosch Laboratory respectively. 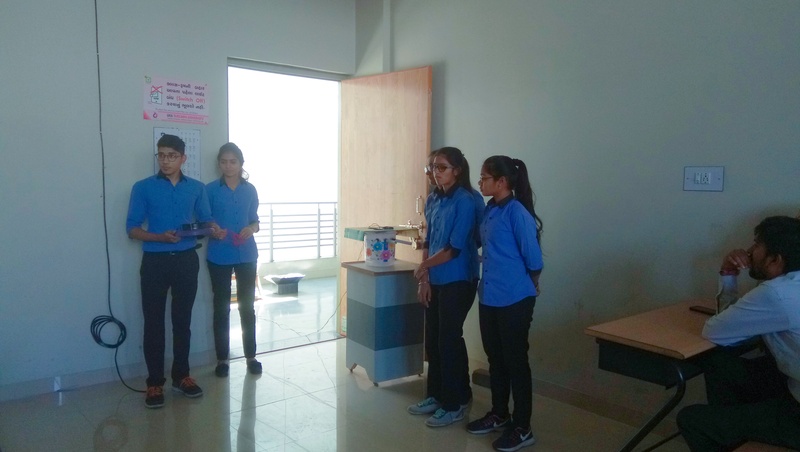 Students also prepared and presented working model such as cooler, solar cooker in model making competition. 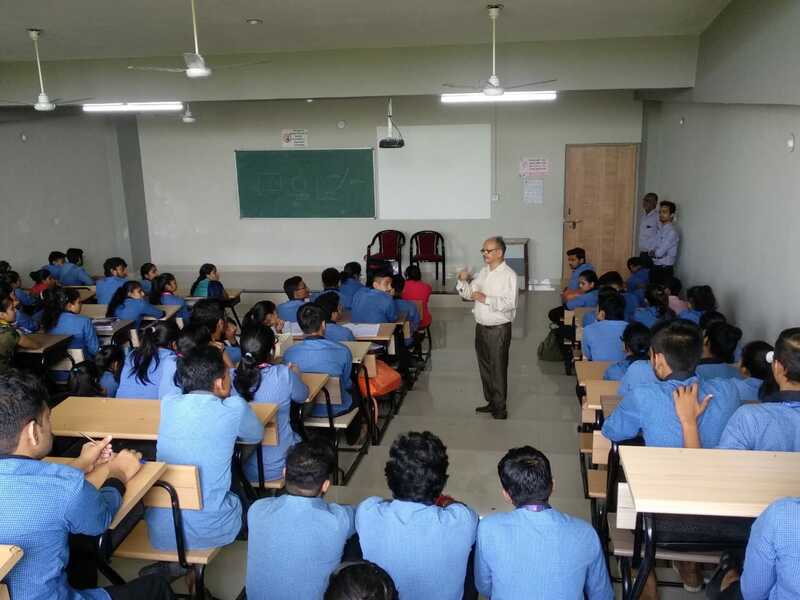 Respected Head of Department, Dr. Shree Mishra also graced the occasion and encouraged the students to participate in such activities in future as well. 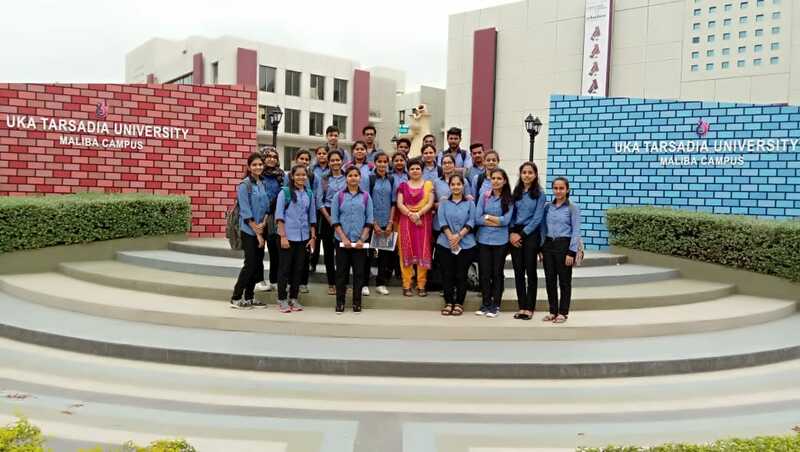 Department of Physics along with Department of chemistry and Department of Mathematics, UTU celebrated sports day during 7-9 February 2019. Mr. Sunil Gamit (Head of sport Department), Mr. Hitesh Rajput, Mr. Nikhil Chokshi and Mr. Anand Patel organized different tournament in respective ground for the young sportsmen. 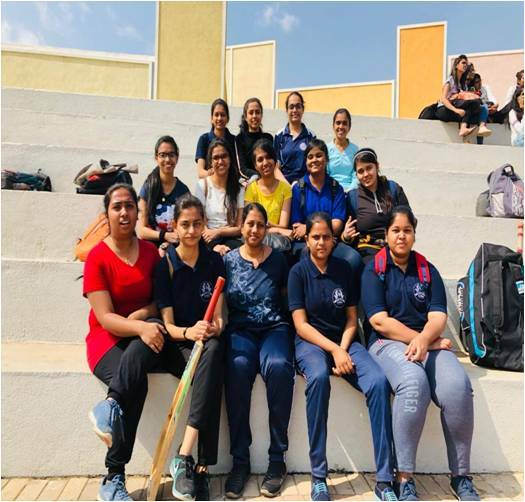 More than 50 students and Faculty members from Department of Physics participated in outdoor games such as Cricket, Volleyball with great enthusiasm. 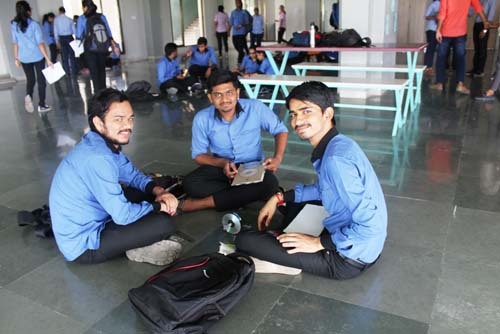 Students also participated in various indoor games such as Chess, Table Tennis and Badminton. 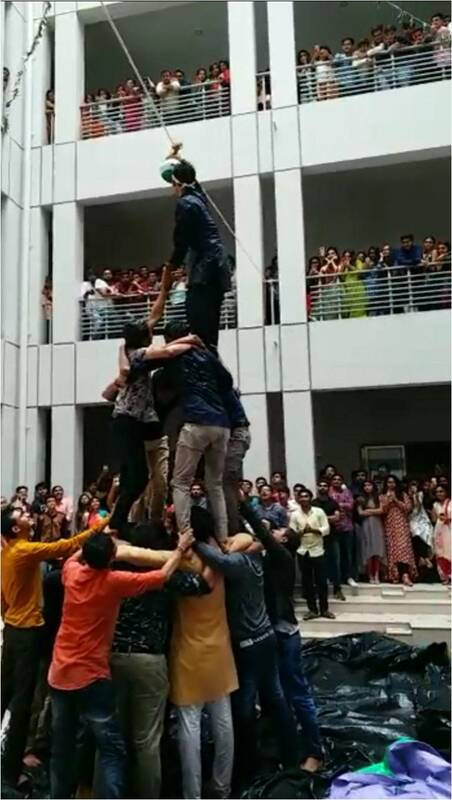 All faculties and students participated with full energy and enjoyed a lot in these three days. 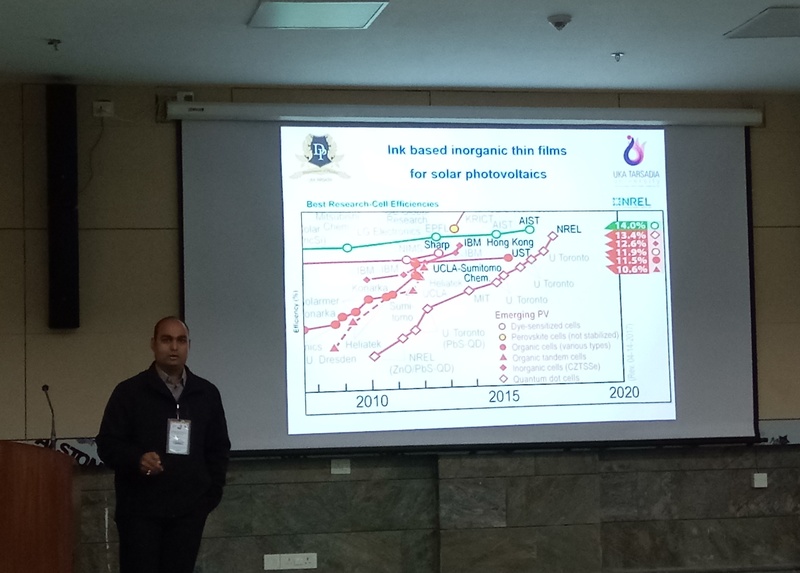 Dr. Jaymin Ray, Assistant Professor, Department of Physics, Uka Tarsadia University has presented his research paper on "The Studies on Cu2AnSnS4 (CZTS) Powder and Thin Film Prepared from Molecular Ink" at "International Conference on Advances in Nanomaterials and Devices for Energy and Environment (ICAN-2019)" organized by Atal Bihari Vajpayee- Indian Institute of Information Technology and Management (ABV-IIITM), Gwalior, Madhya Pradesh during January 27 - 29, 2019". 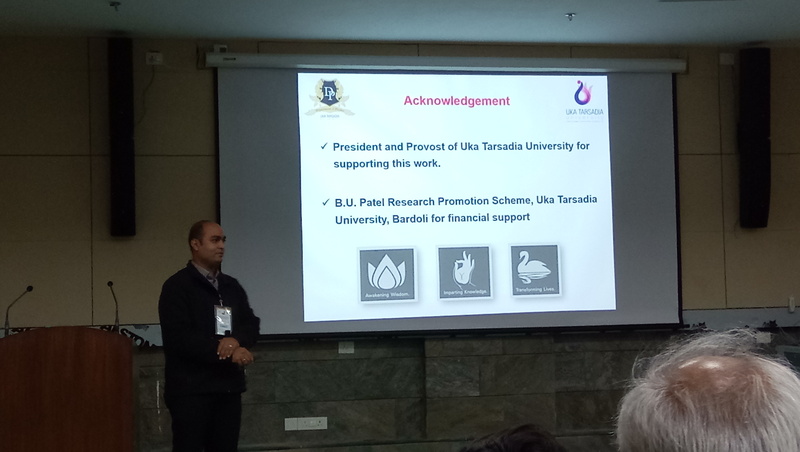 Mr. Vishva Jain, Faculty member, Department of Physics, Uka Tarsadia University has also presented his research paper on "Study of Vanadium Pentoxide Thin Film Prepared by Spin Coating Method" in the same conference. Mr. Hardik Sorathiya, M.Sc. 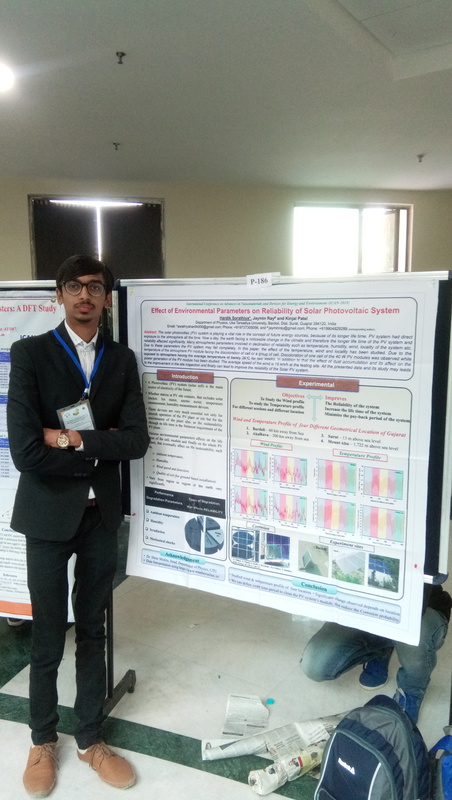 Students, Department of Physics has also presented his research work on "Effect of Environmental Parameters on Reliability of Solar Photovoltaic System" in the same conference. 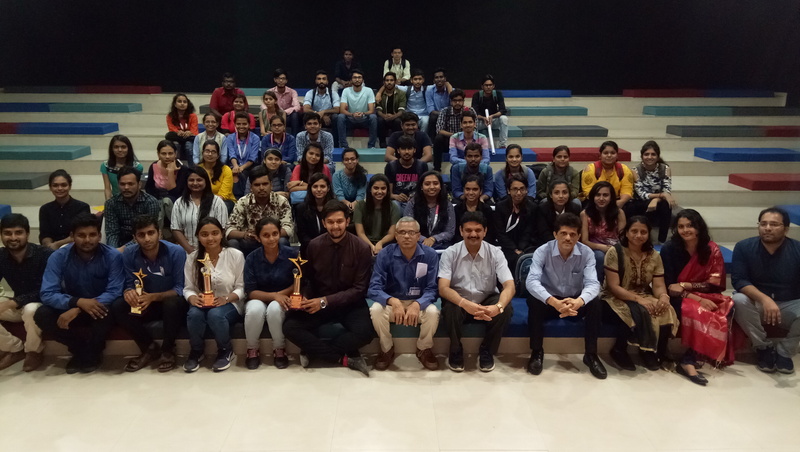 Department of Physics organized educational visit to Indian Institute of Technology Bombay, Mumbai on January 19, 2019. Total 38 students of Integrated M.Sc. Physics and M.Sc. 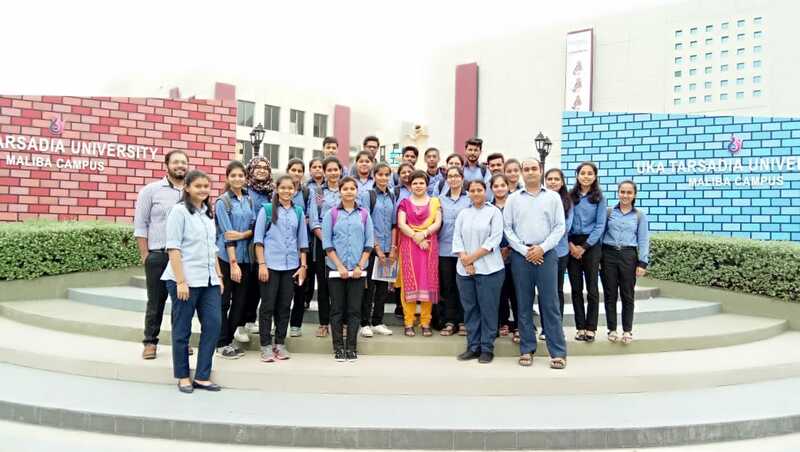 Physics; along with three faculty members Dr. Abhitosh Kedia, Dr. Kinjal Patel, and Dr. Jaymin Ray, visited IITB Nanofabrication Laboratory and learn about fabrication process of nano-scale devices. 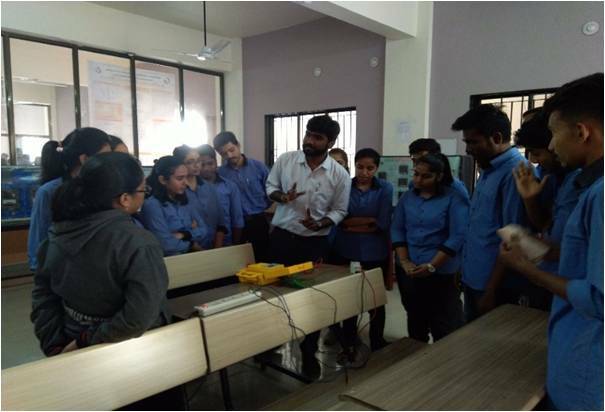 Students got an opportunity to discuss with scientist as well as well the process management personals about the latest research and technologies used in fabrication of the nano-scale devices and its applications. 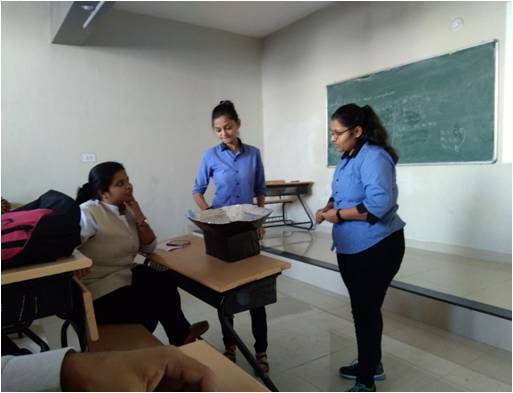 Ms. Krupa Patel, Ms. Purvi Chaudhari (students of Integrated M.Sc. Physics 8th Semester) and Ms. Apexa Parmar (student of M.Sc. 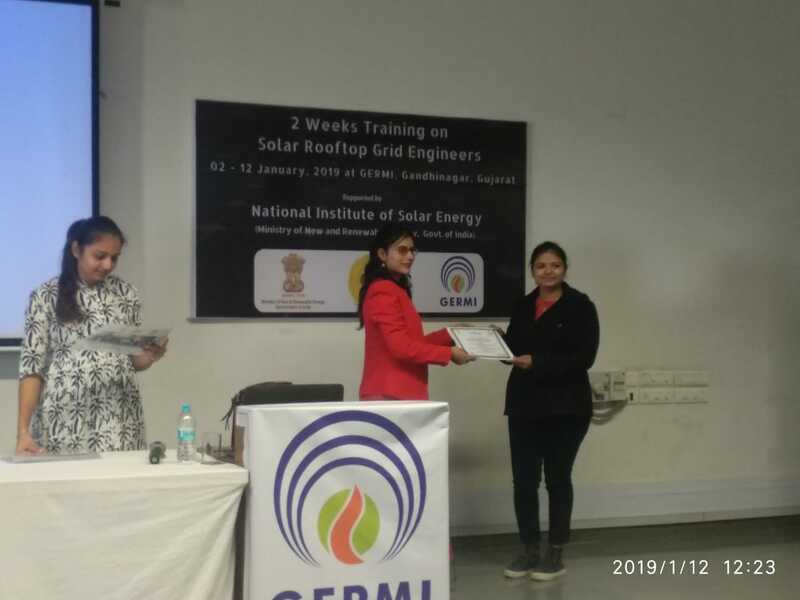 Physics 4th Semester); from Department of Physics, Uka Tarsadia University selected and participated in 2 weeks training on "Rooftop Solar Grid Engineer" during 2-12 January, 2019 organized by GERMI, Gandhinagar. 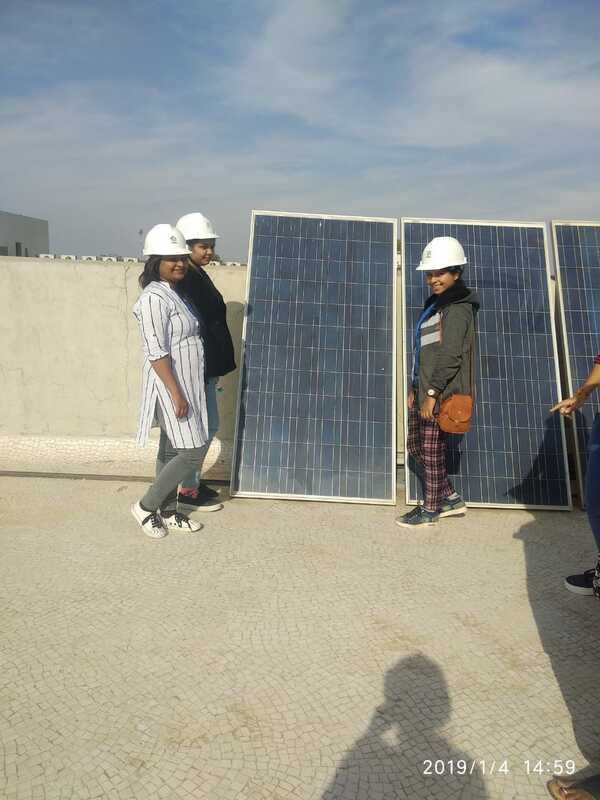 Students learn about different types of the solar photovoltaic techniques and its installation on-grid and off-grid. Miss. Parita Patel, student of 4th semester of M.Sc. 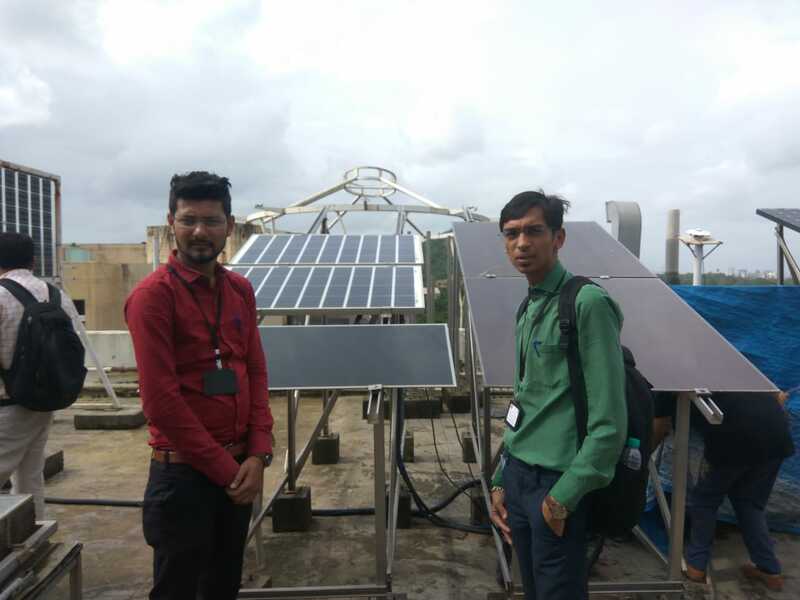 Physics of Department of Physics, Uka Tarsadia University got opportunity to do internship M/s Anchor Electricals Private Limited, Unit 5-Daman during 1 December 2018 to 31 December 2018. 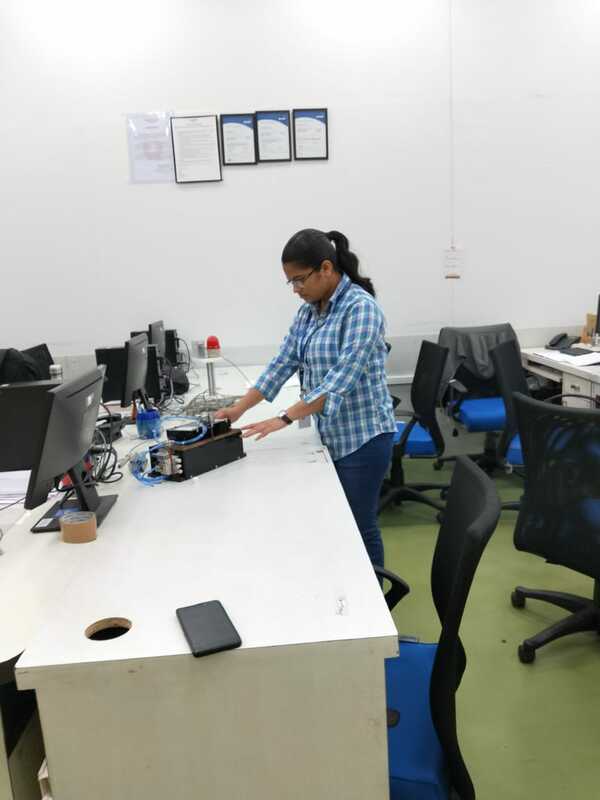 During her internship, she was exposed to various facets of mold and tool room department. Department of Physics organized an expert lecture of Dr. Debesh R Roy, from Department of Physics, SVNIT on November 23, 2018 from 12.30 noon onwards. 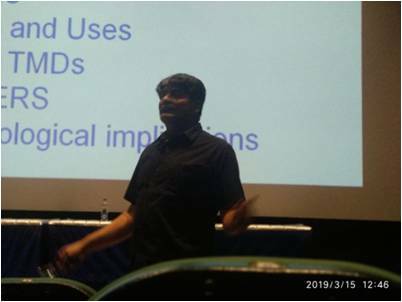 Dr. Debesh R Roy delivered an expert talk on "Hamilton-Jacobi theory" Students of Integrated M.Sc. Physics and M.Sc. Physics attended the lecture. The lecture inspired students and also encourage them to perceive research in science. Department of Physics organized an expert talk of Dr. Yogesh Sonvane, from Department of Physics, Sardar Vallabhbhai National Institute of Technology (SVNIT), Surat on November 22, 2018 from 12.30 PM onwards. 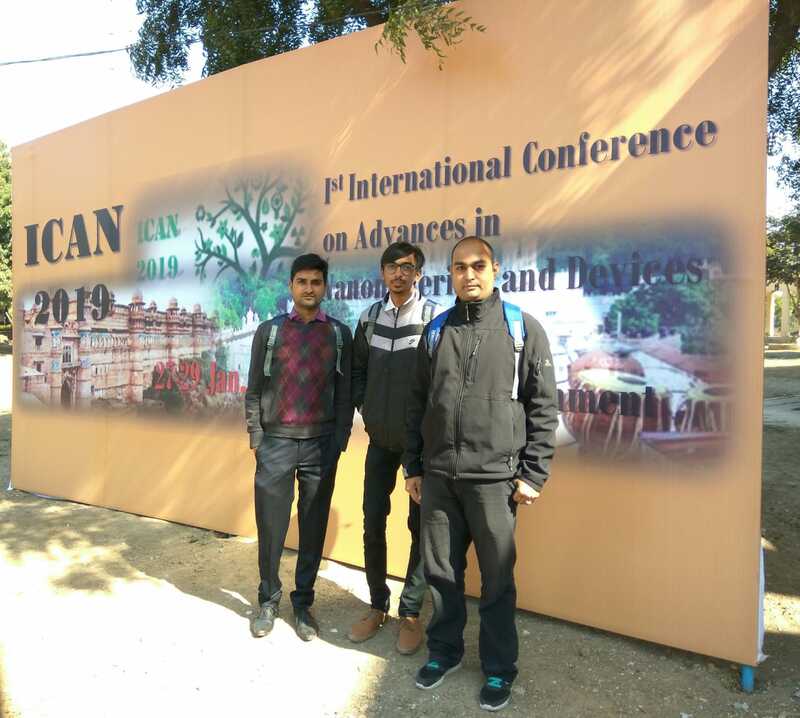 Dr. Yogesh Sonvane delivered lecture on "Canonical Transformation". Students of Integrated M.Sc. Physics and M.Sc. Physics attended the lecture. The lecture inspired students and also encourage them to perceive research in science. 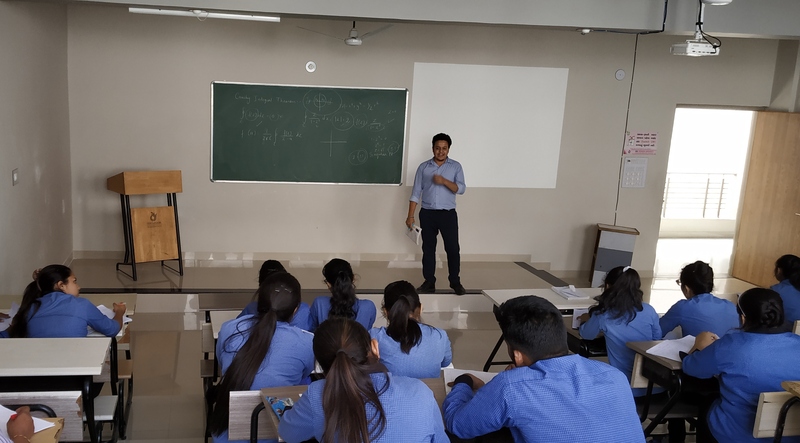 Department of Physics organized an expert lecture series of Mr. Mihir Panchal, Faculty member from Department of Mathematics, UTU on October 22, 2018. 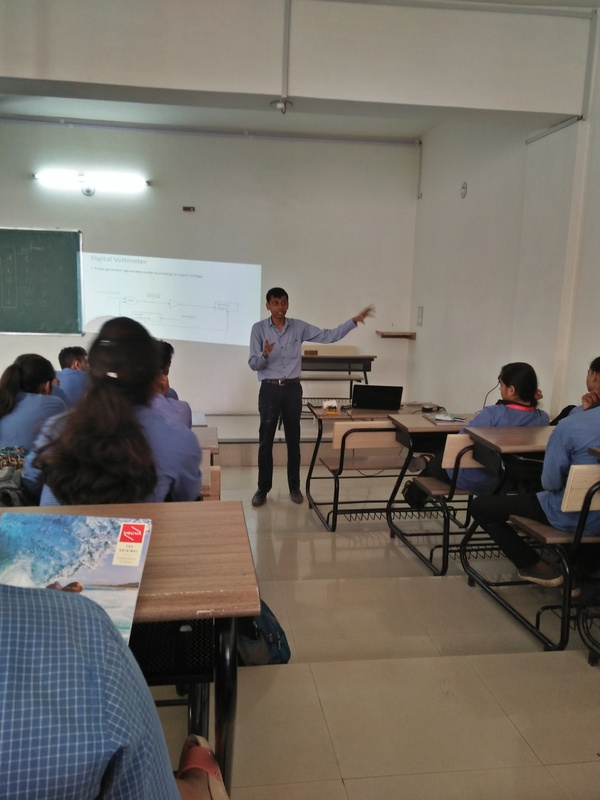 Mr. Mihir Panchal delivered expert lectures on "Complex Integration". Students of M.Sc. Physics semester 1 and Integrated M.Sc. Physics semester 7 attended the lecture. 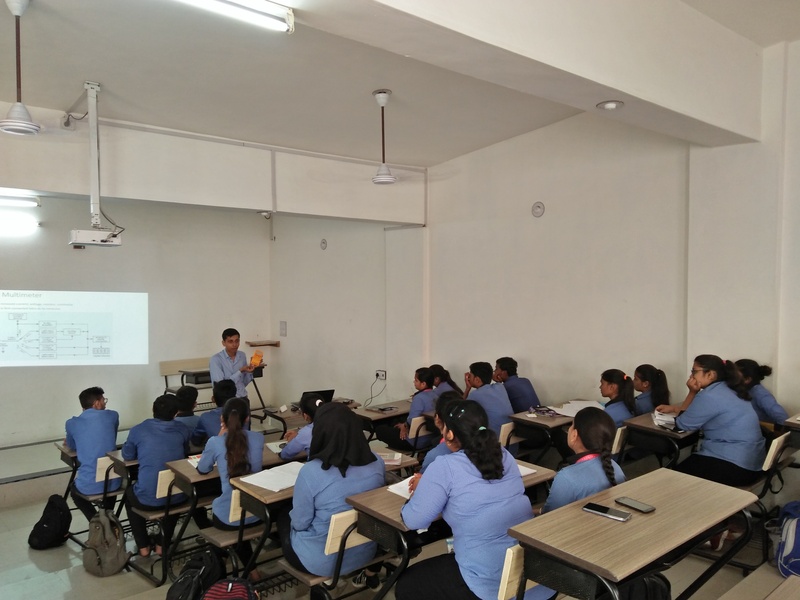 Department of Physics organized an expert lecture series of Mr. Rasik Shah, Faculty member from Department of Mathematics, UTU on October 20, 2018. 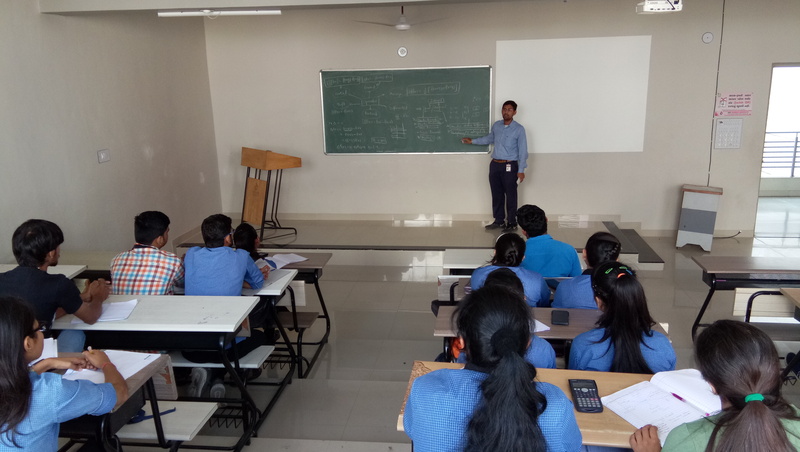 Mr. Rasik Shah delivered expert lectures on "Numerical Methods". Students of M.Sc. Physics semester 1 and Integrated M.Sc. Physics semester 7 attended the lecture. 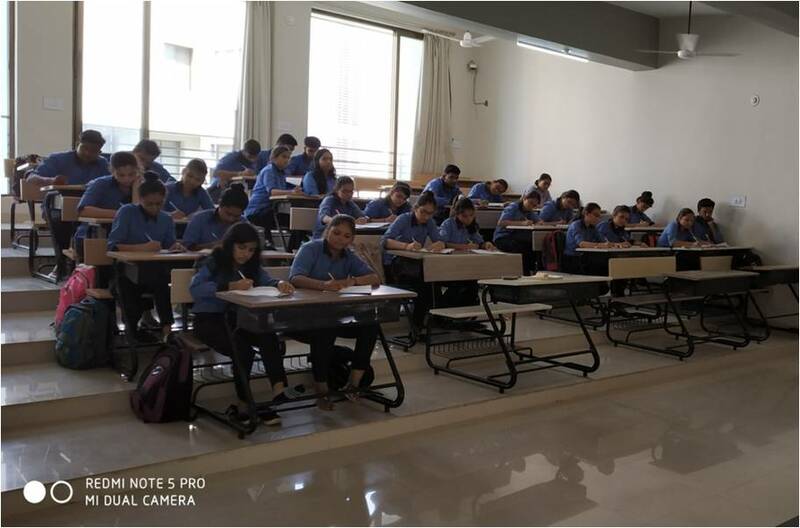 Students got the knowledge of various uses of numerical methods in science and technology. 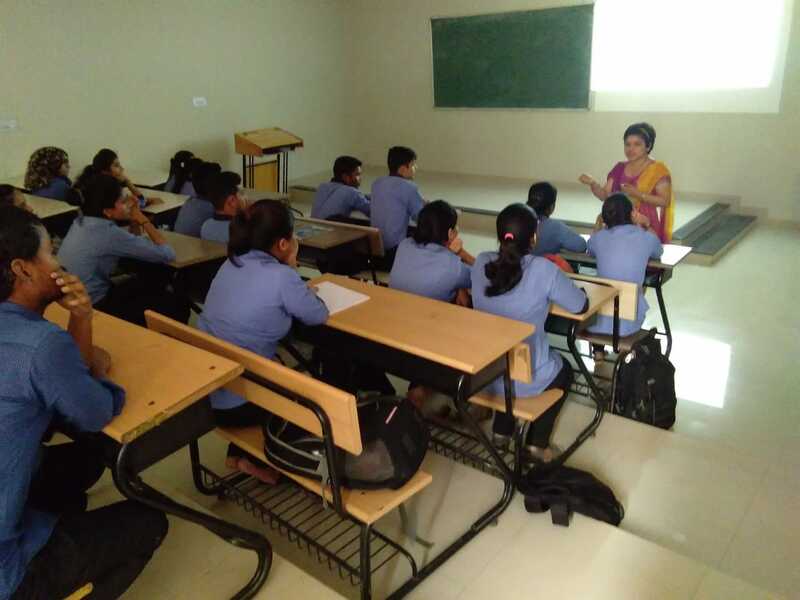 Department of Physics organized an expert lecture series of Dr. Bhavika Tailor, Assistant Professor from Department of Mathematics, UTU on October 15-16, 2018. 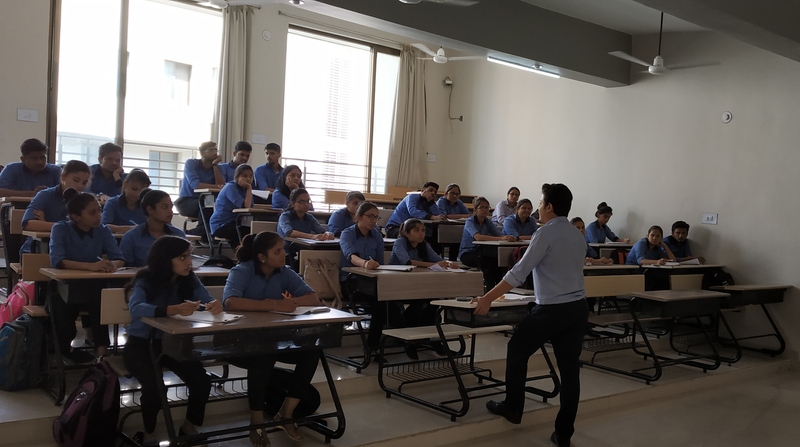 Dr. Bhavika Tailor delivered expert lectures on "Fourier Transform". Students of M.Sc. Physics semester 1 and Integrated M.Sc. Physics semester 7 attended the lecture. 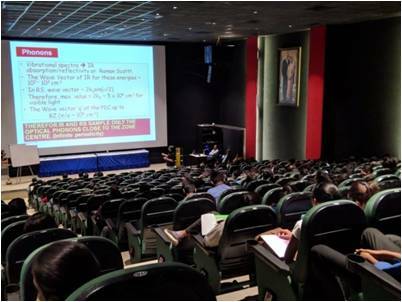 The lecture motivated students. 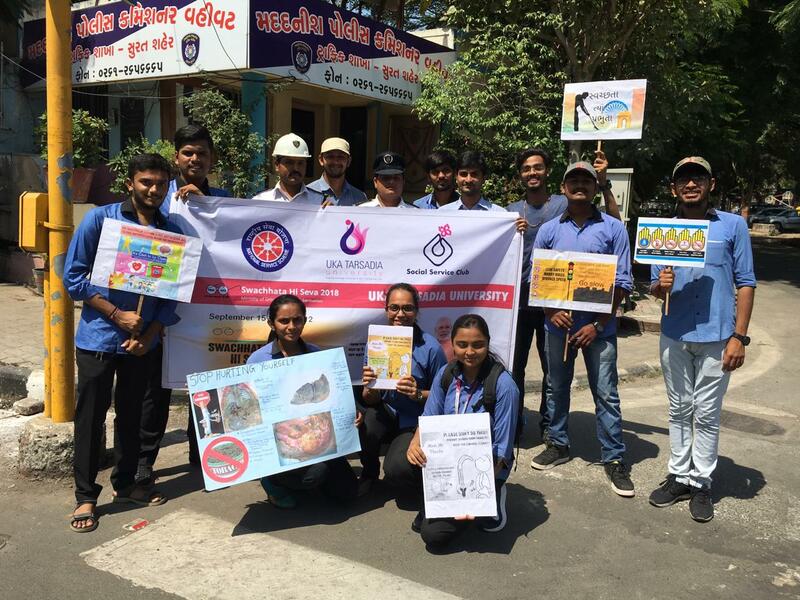 Department of Physics organized a Swachhata Awareness Activity at Chopati traffic signal point, Surat on 30-09-2018 (Sunday) with prior permission from the Commissioner of Police, Surat. The aim of activity is to bring the awareness about the importance of cleanliness and its benefits to the daily life. In addition to that provide information about pros and cons of general trends to common people. 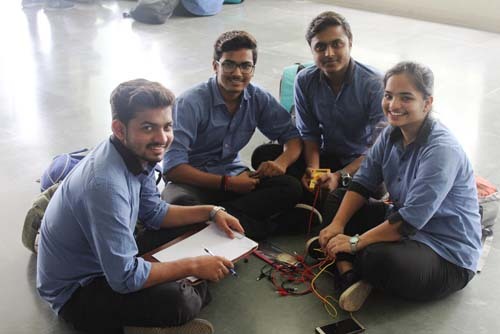 In the activity, a group of ten students along with three faculty members of the department of physics actively involved. 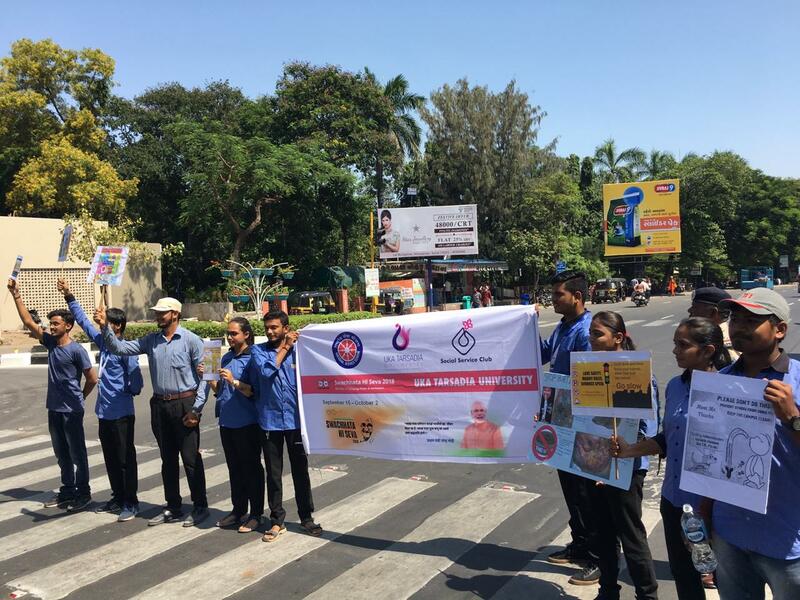 Students had prepared the posters and explain it orally to the people during the halt period (red light) of the signal. 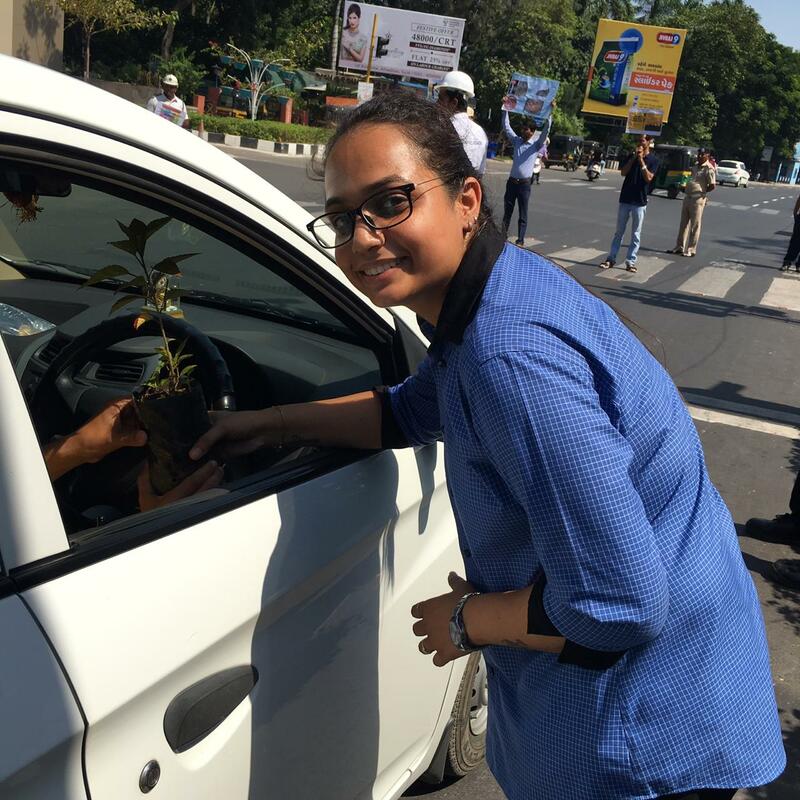 During that period some of the students and faculty members were engaged with the distribution of plants to the people as a token of love to earth with request to plant it and help to purify the air. 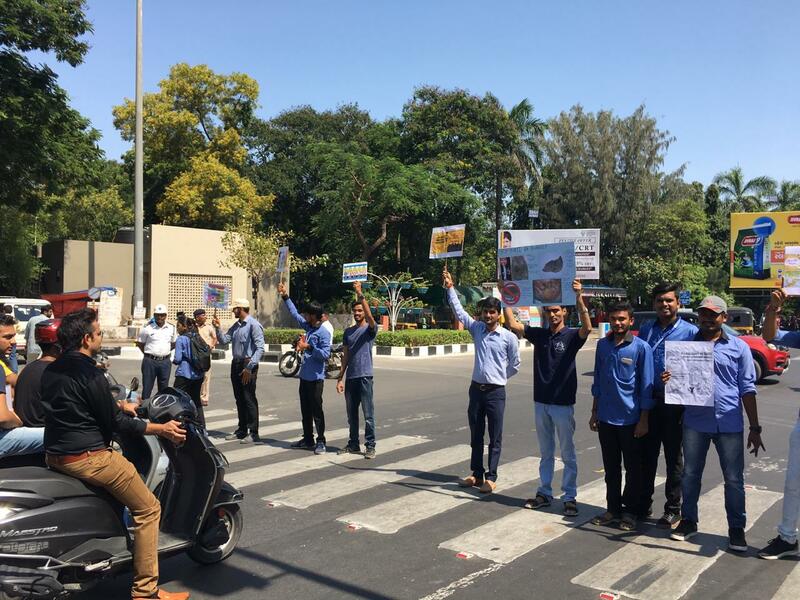 Many people appreciated students and also help them in spreading the awareness. 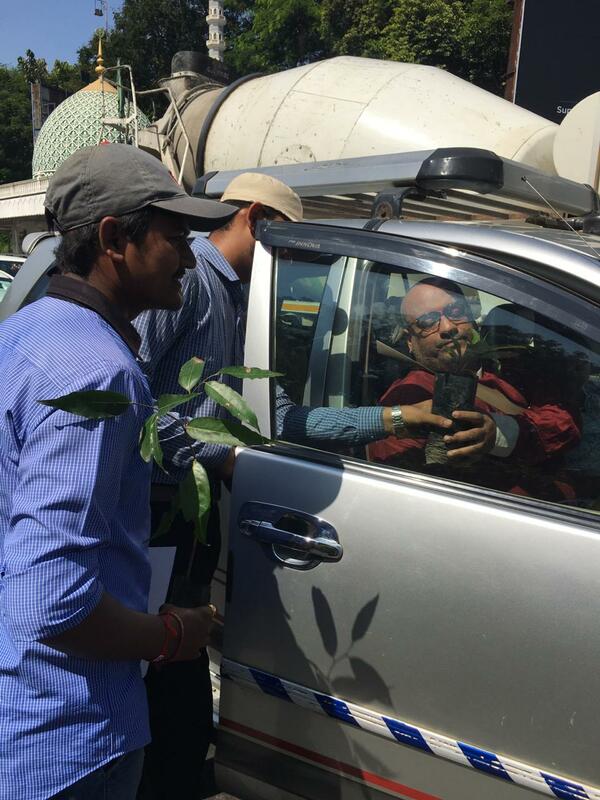 Accession of enthusiasm from traffic police and their staff added pleasant fragrance to this awareness activity. 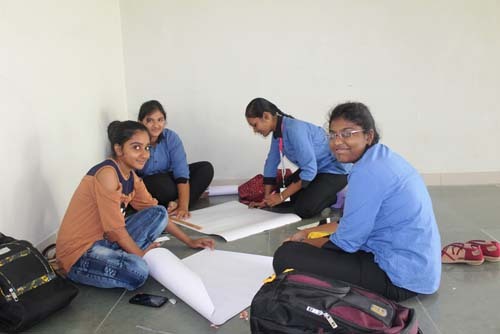 We are very much thankful to them for helping to conducting our activity smoothly. 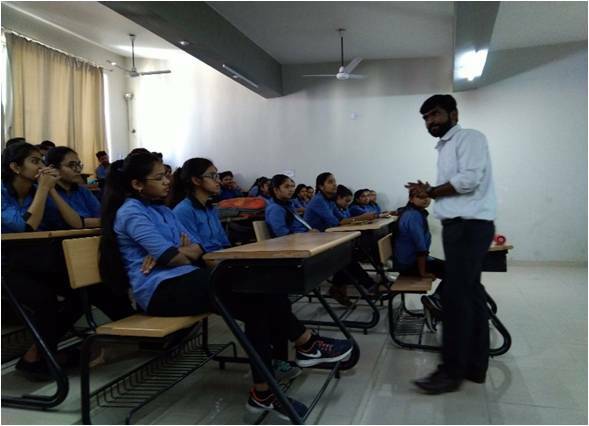 Department of Physics organized an expert lecture series of Mr. Naitik Nakrani, Assistant Professor from Department of Electronics and Communication Engineering, Chhotubhai Gopalbhai Patel Institute of Technology, UTU on September 29, 2018 from 09.30 AM onwards. 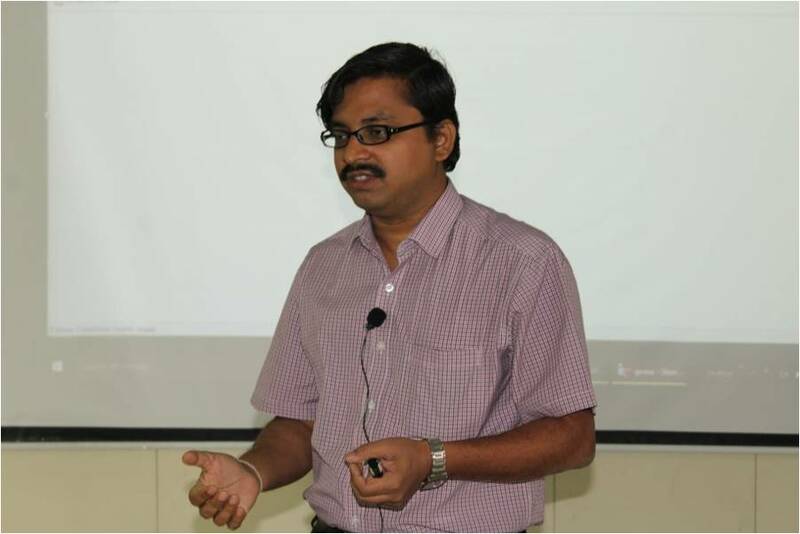 Mr. Naitik Nakrani delivered an expert lectures on "Digital Instruments". Students of Integrated M.Sc. Physics semester 3 attended the lecture. The lecture inspired students. 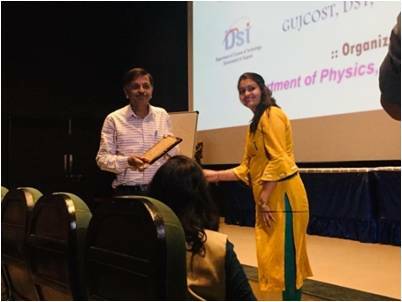 Department of Physics organized One day workshop on "Nuclear Energy: The Vital Source in in collaboration with NPCIL Kakrapar, Gujarat Site on September 27, 2018. Inaugural function was inaugurated by esteemed guests from NPCIL,, Kakrapar site and the Patron. Shri M V Parikh, Prof. N C Shah and Prof. R. Krishnamurthy had delivered the motivational speech. After the Inaugural function, Guests from NPCIL had delivered lectures. 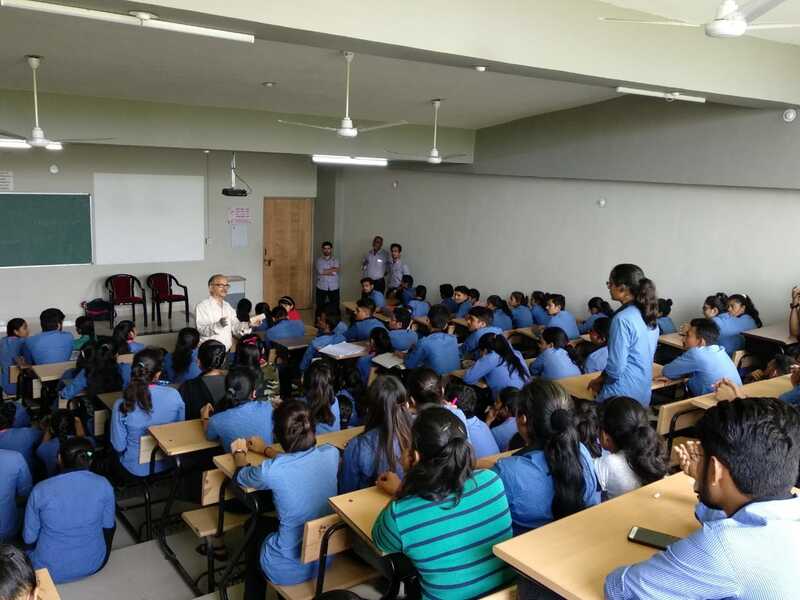 Shri M. V. Parikh delivered lecture on the basics of Nuclear Power Plant and its detailed working principle. Dr. A K Patra delivered lectures on the effect of radiations on the life. Shri Mehul J Makwana delivered lecture on the instrumentation used in the Nuclear power plants and its working. 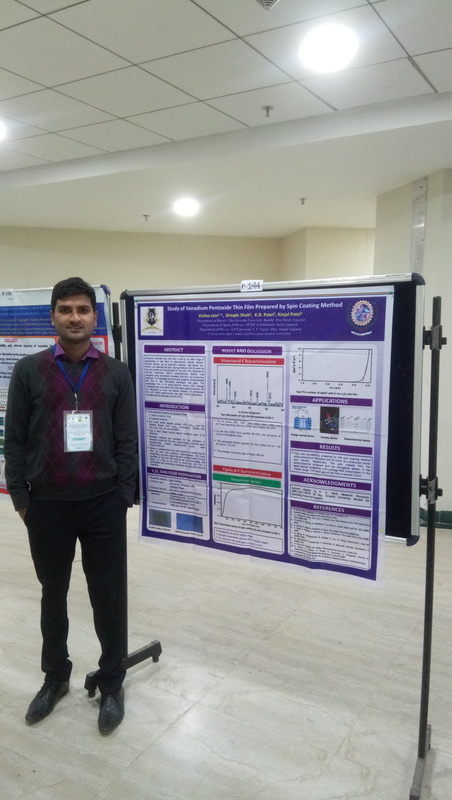 He jointly with Dr A. K. Patra practically demonstrated (with help of G M Counter and Scintillation detector) the dosage amount of radiations at Kakrapar site and at different area in the UTU campus (students noted down the reading). Last session was on poster presentations chaired by our esteemed guest Shri R K Dubey. In last winners are acknowledged for their efforts and felicitated by Shri R K Dubey with winning trophy. Total 213 participants took part in the Seminar, out of that 51 students (26 posters as a team of two) presented poster during the Seminar. 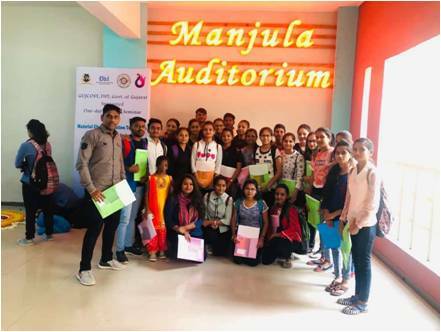 Majority participants are from different institutes of UTU and other universities of all over the Gujarat such as B. S. Patel , Navsari; P. T. Sarvajanik College of Science, Surat; Veer Narmad South Gujarat University; Government Science College, Dhanpur, St. Xavier's College, Ahmadabad etc. 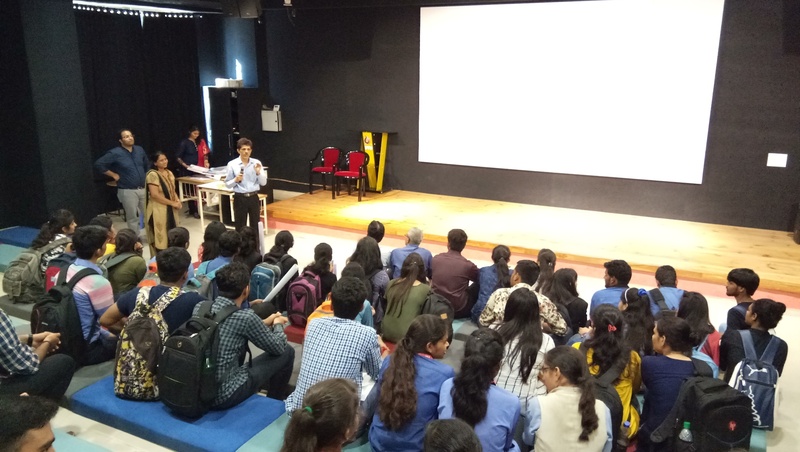 Department of Physics organized expert lecture series on Atomic Physics on September 22, 2018, with the aim to draw the attention of student community towards the basics of atomic physics and molecular physics. Students of Integrated M.Sc. Physics and M.Sc. Physics attended this lecture. 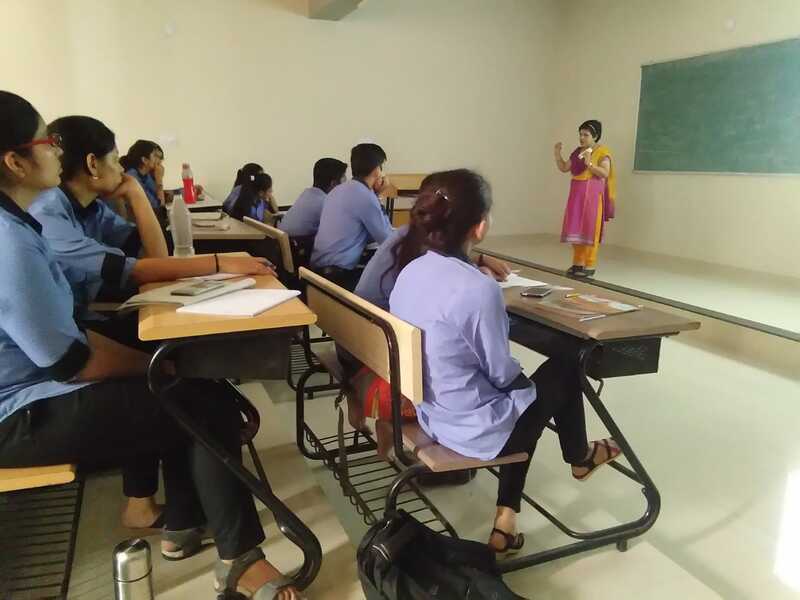 The lecture was delivered by Dr. Jumishree Sharmah Pathak, Head, Department of Physics, Indian Institute of Teacher Education (IITE), Gandhinagar. She had cover majority basics of atomic and molecular physics. She had very well explained the concept of spectrum and energy distribution. 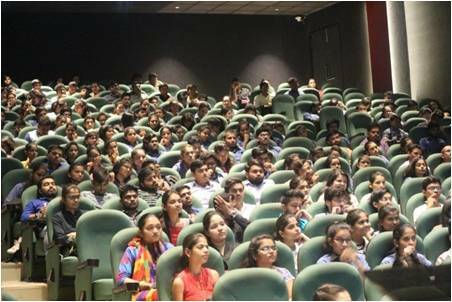 She had also taken an interactive session in the form of quiz and multiple choice question answering. 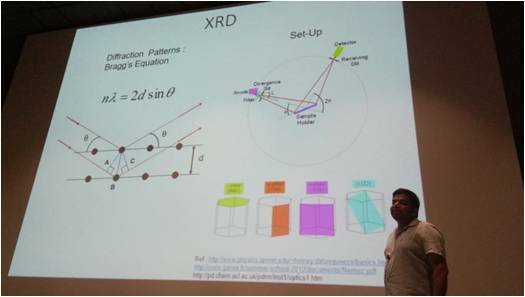 Department of Physics and mathematics jointly organized an expert lecture of Dr. (Prof) Shrikrishna Gopalrao Dani, from TIFR (TATA Institute of Fundamental of research) on September 7, 2018. 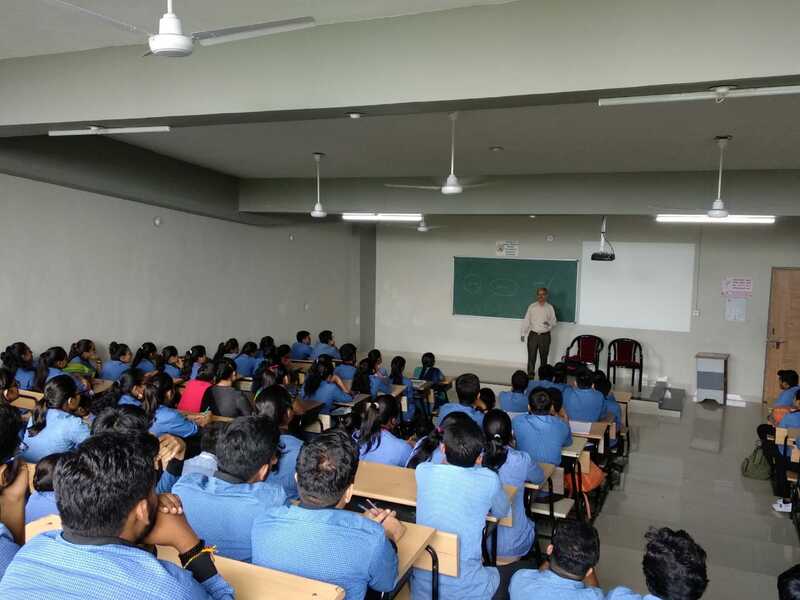 Professor S. G. Dani delivered an expert talk on "Application of mathematics in research for Physics students". Students of Integrated M.Sc. Physics, Integrated M.Sc. Mathematics, M.Sc. Physics and M.Sc. Mathematics attended the lecture. The lecture inspired students and also encourage them to perceive research in science. 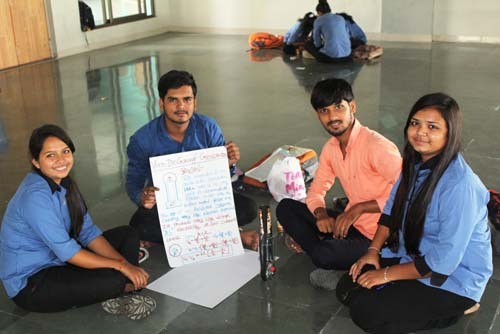 "Model and poster making competition on Free Energy Theme on Teachers' day"
Department of Physics celebrated Teachers' day by organizing poster/model making competition on Free Energy theme on September 5, 2018. Students of Integrated M.Sc. Physics and M.Sc. Physics participated and demonstrated static and working models and posters. 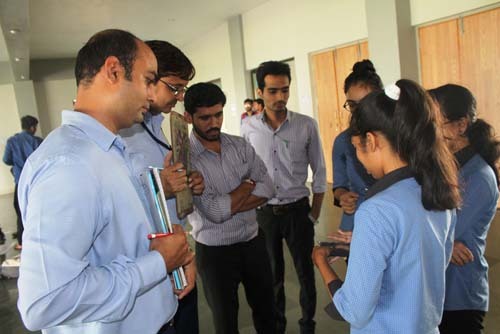 Prof. Chinmay Desai (Director, Chhotubhai Gopalbhai Patel Institute of Technology, UTU) judges the models and posters and declares winners. 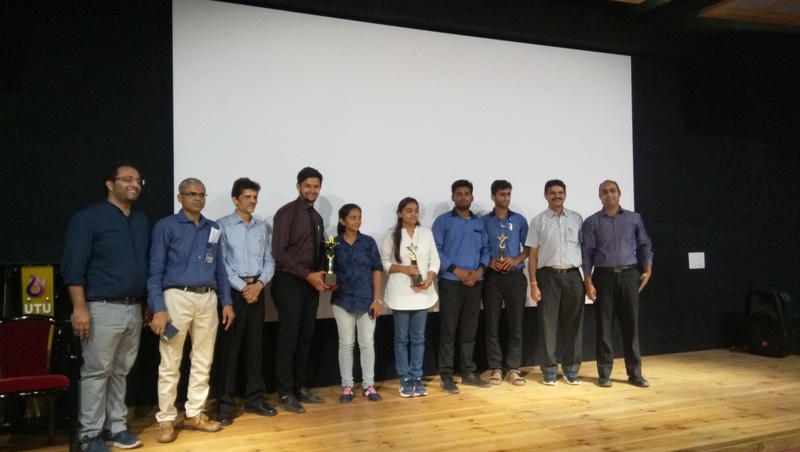 Mr. Jayrath Lakhavanjara, Mr. Divyang Patel, Mr. Ankit Patel, Mr. Abu Abdulla, Mr. Ankit Pandey got first price in model making competition. Miss. Mauri Gohil, Miss. Anita Lor and Miss. Manisha Ranawat got second price in model making competition. Ms. Lalita Sharma, Miss. Neha Sharma and Mr. Hardik Sorathiya got first price in poster making competition. 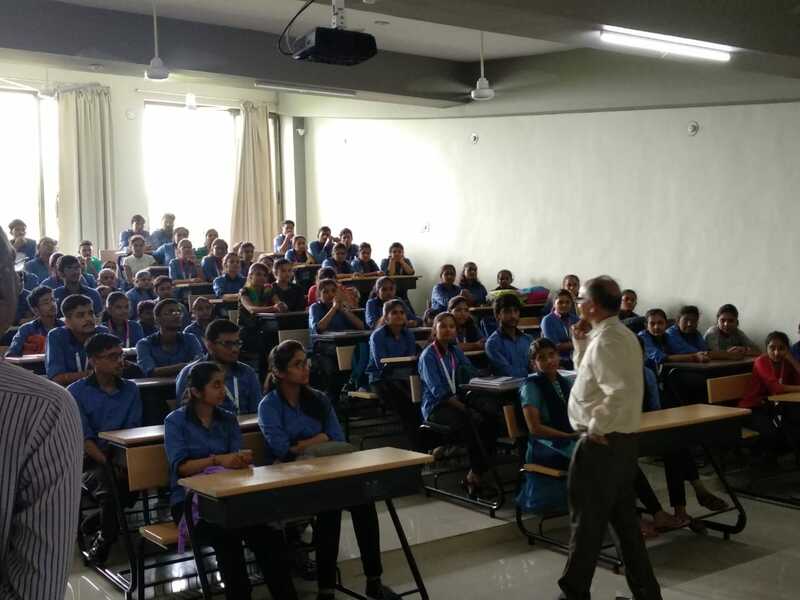 "Guest Lecture by Prof. P. Bahadur on September 5, 2018"
Department of Physics organized an expert lecture of Professor P. Bahadur from Veer Narmad South Gujarat University, Surat on September 5, 2018 from 10.30 AM onwards. 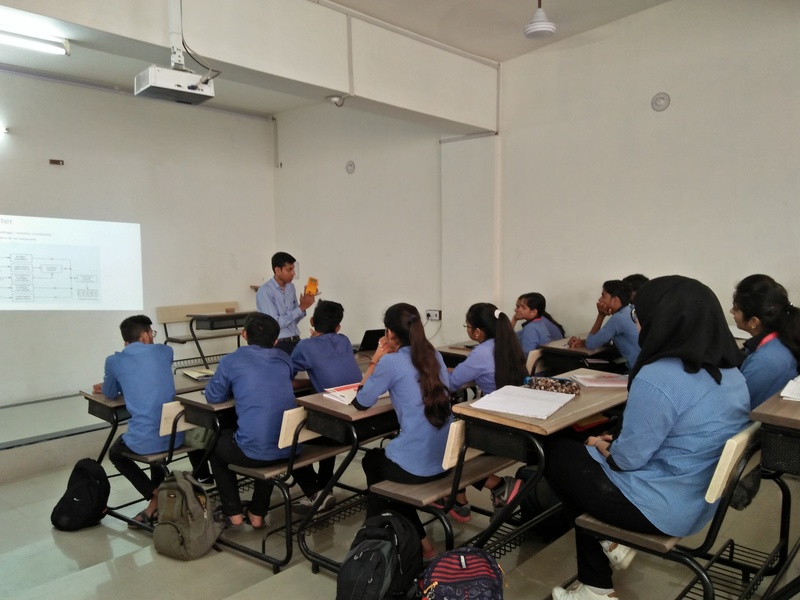 Professor P. Bahadur delivered an expert talk on "Polymer science". Students of Integrated M.Sc. Physics and M.Sc. Physics attended the lecture. 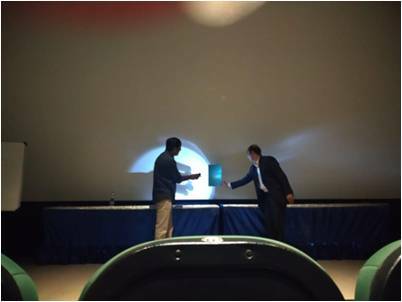 The lecture inspired students and also encourage them to perceive research in science. 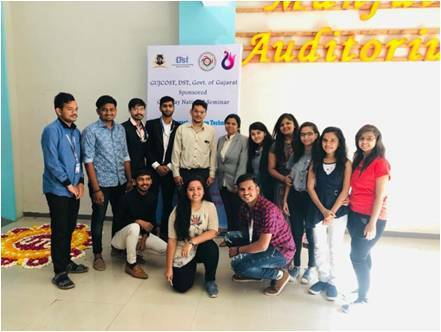 "Student selected and participated in the workshop at IIT Bombay during August 27-31, 2018"
Mr. Hardik Sorathiya and Mr. Sagar Patoliya; students of 3rd semester of M.Sc. 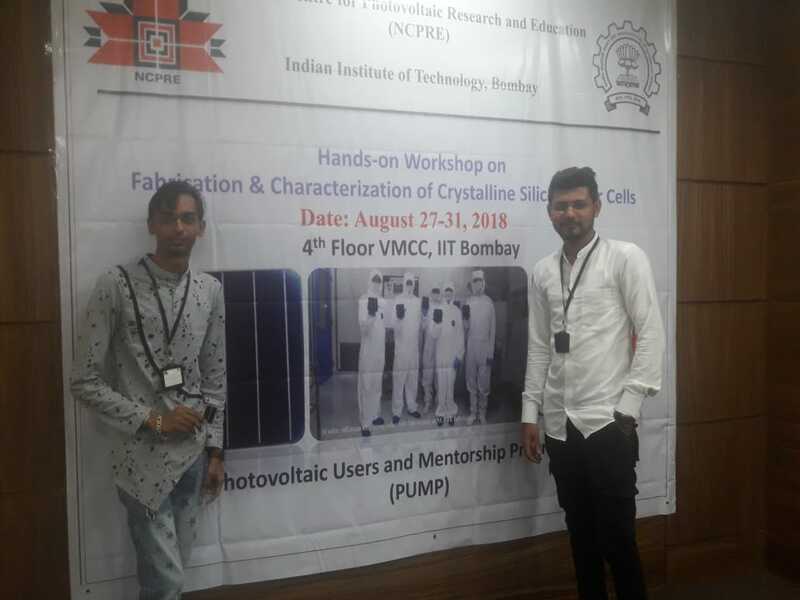 Physics of Department of Physics, Uka Tarsadia University selected and participated in "Hands-on Workshop on Fabrication & Characterization of Crystalline Silicon Solar Cells" during 27-31 August, 2018 organized by Indian Institute of Technology (IIT), Bombay. 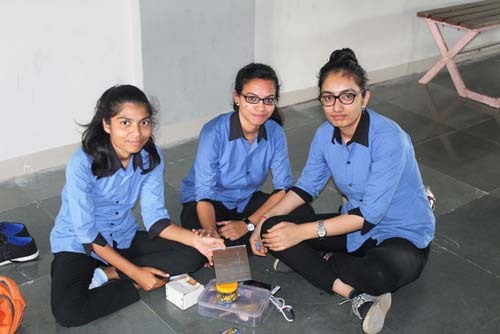 Students learn fabrication process of silicon solar cell. 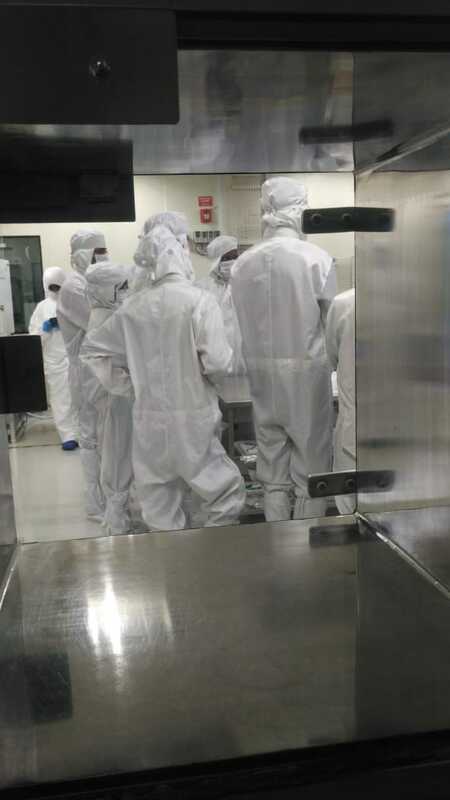 They also get opportunity to visit clean room laboratory at IIT Bombay. 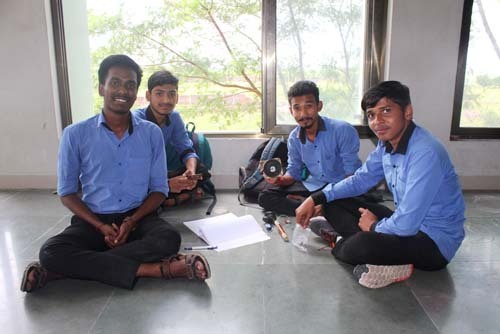 Department of Physics along with Department of Mathematics, UTU celebrated Janmashtami on August 31, 2018. Students along with faculty members do worship of lord Krishna. 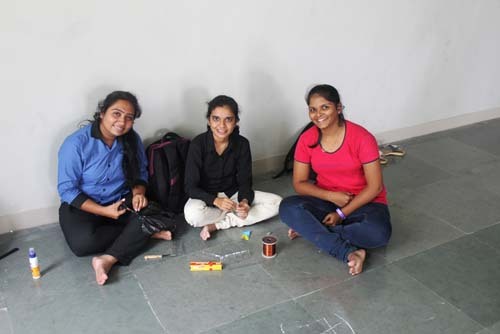 On this occasion, Rangoli competition, Thali decoration and Matki decoration competition were organized. 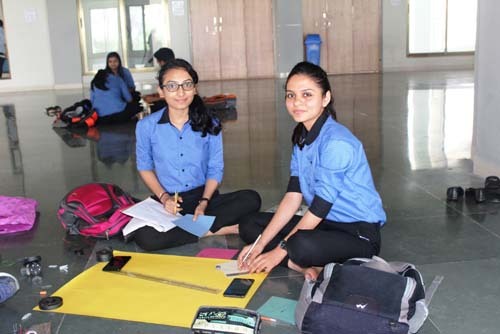 All students actively participated in competitions. Miss. Aashi Naik (Student, M.Sc. Sem I), got first price in the Thali decoration competition. Miss. Trusha Ahir and Miss. 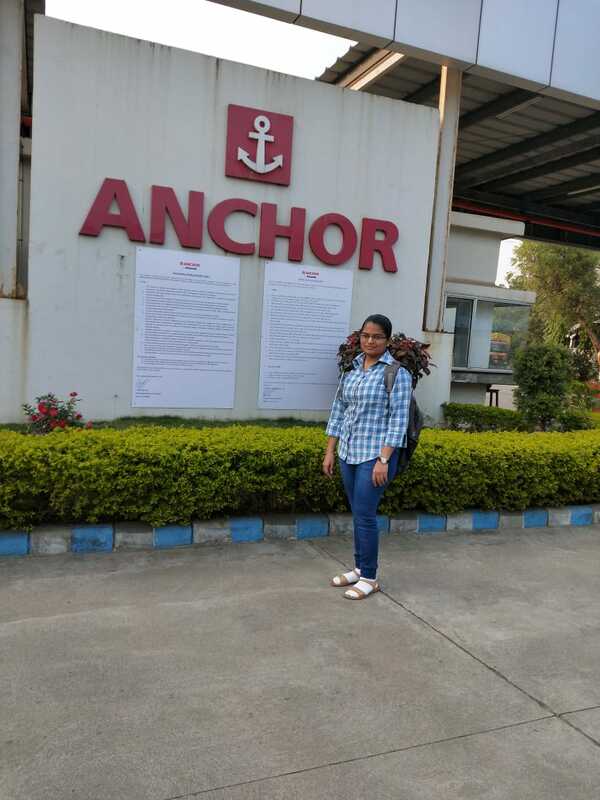 Nirali Dhimmar (Students, Integrated M.Sc. Sem V) got second price in the Thali decoration competition. Miss. Saloni patel and Miss. Zankhna Gamit got first price in the Matki decoration competition. Miss. Purvi Shukla and Mr. Yuvrajsinh Parmar got second price in the Matki decoration competition. Miss. Sweety Patel and Miss. Aishwarya Sindhi got first price in the Rangoli competition. Miss. Vishaka Srimali got second price in the Rangoli competition. 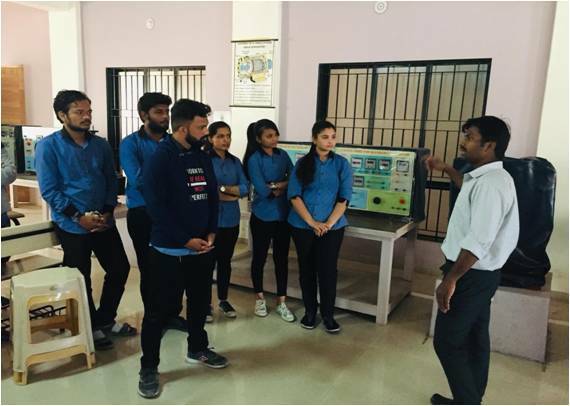 "Student visit at Turbomechanics laboratory"
Department of Physics organized an educational visit of students in Turbomechanics laboratory at CGPIT, Chhotubhai Gopalbhai Patel Institute of Technology (CGPIT), Uka Tarsadia University as part of interdisciplinary activities on August 30, 2018. 22 students' of Integrated M.Sc. 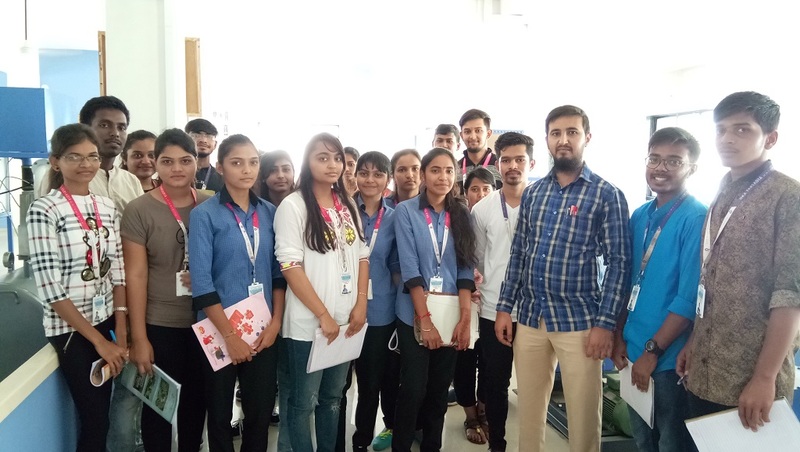 Physics Semester V along with faculty member visited the laboratory. 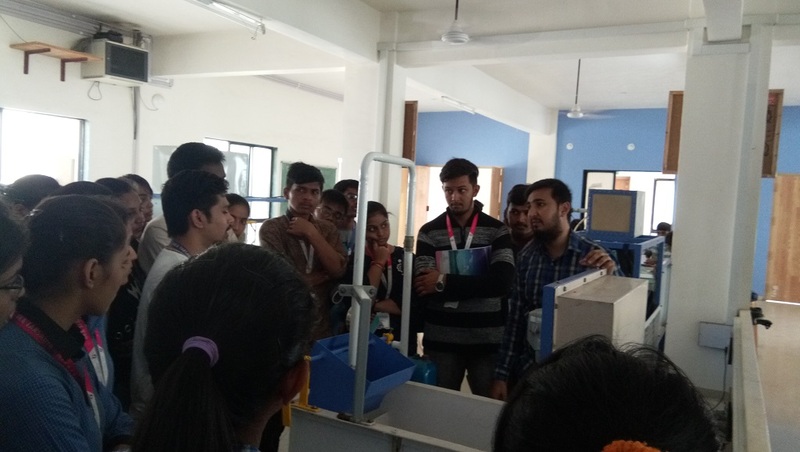 Mr. Mohammad Husain Shaikh, Faculty member at CGPIT demonstrated pump mechanism and their uses as per applications.